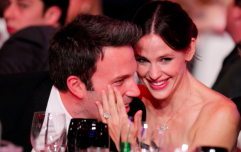 In fairness to her, Jennifer Garner had a good night last night. She looked stunning, she wore an amazing Atelier Versace gown, and she was essentially the best dressed person attending the Oscars in our humble opinion. If you don't believe us, just look at the below images. Anyway, Jennifer seemed be having a swell time throughout the ceremony, clapping and cheering away as the likes of Frances McDormand, Guillermo Del Toro, and Jordan Peele picked up their respective awards throughout the night. However, at one stage, the camera cuts to Jennifer when she's clapping, her mouth drops open in abject horror, and she looks totally shook to her core. What happened Jen? Who hurt you? After journalist Bobby Finger shared the shot of Jennifer with the caption "What realisation did Jennifer Garner just come to?" people started coming up with a few theories. None of them were that she suddenly remembered she'd left the emersion on, but that's a decent shout, in fairness. left oven on at home. stars: they're just like us. 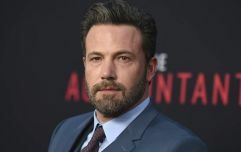 "I have never seen Ben and Batman in the same place at the same time!" We may never know what Jennifer Garner realised or saw, and to be honest, we may just have to make our peace with that. Still though, Jen hasn't reached peak awards show clapping and cheering meme just yet. That title remains firmly in the hands of Meryl Streep and Nicole Kidman.